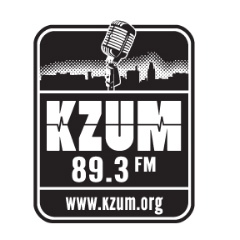 Sunrise Communications runs KZUM, a non-profit community radio station that has been broadcasting for 40 years! KZUM works to support independent artists, support the local economy, and promote community engagement. It takes about $700 a day to run KZUM. A 2 hour long show costs about $3000 per year. KZUM pays about $7000 a summer to local artists. KZUM makes supporting our local arts scene a priority. Through events coverage, live performances and programming designed to highlight visual arts and local music, we promote more local arts than any other station in the area. As of March 2018, KZUM has created paid performance opportunities for 40 different local music acts. Sixteen of these opportunities offered promotion on an international stage through the SXSW Music Festival in Austin, Texas, and the Folk Alliance International Conference in Kansas City. In addition to music, KZUM provides promotion for Lincoln’s visual arts scene. Our organization creates a monthly arts map that highlights special events showing at galleries around town and our program schedule has three shows that feature visual and performing arts. Promoting our local arts scene is promoting the vitality and heart of our community.